Perfect for working out, the Sennheiser CX SPORT in-ear Bluetooth headphones offer the freedom of wireless listening in an ultra-lightweight, sweat resistant design. The CX SPORT has been created to move when you move and features ergonomic fins that keep the earbuds comfortably secure. They can be worn either around the neck or in front as there is a cable organiser that adjusts the cable length and an optional clip that can be used to fix the CX SPORT on a workout shirt. There is a choice of three fin sizes and a selection of four sizes of ear adapters so it is easy to find the perfect fit that blocks out outside noise and helps you stay focused during your workout. The CX SPORT is brilliant to use when exercising as they are splash and sweat resistant; perfect to use in high intensity workouts. They are also lightweight making them comfortable to use. Despite its slim design, the CX SPORT has a fantastic range of advanced features including multi-connection capability that allows the headphones to be connected to up to two devices simultaneously. Also Bluetooth 4.2 and Qualcomm® apt-X™ ensure uncompromised wireless Hi-Fi sound. When using the CX SPORT for watching videos, Qualcomm® apt-X™ Low Latency compatibility keeps the audio transmission perfectly in sync with the visuals. I used the CX SPORT when I went for a run and found them extremely comfortable to wear and thought they delivered a clear, detailed sound. They were also very easy to use and I found the three-button inline remote control for managing music and calls very useful. These in-ear headphones blocked out outside noise which was great as this helps keep me more focused when I am running. 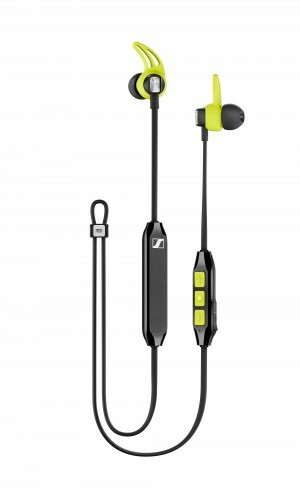 The CX SPORT in-ear headphones are an ideal gift for anyone who listens to music when working out. The RRP is £119.00 and they are available from www.sennheiser.com.